JW Note: Hoping all had a Safe and Scary Halloween 2018! JW Note: Wishing you a Safe and Scary Halloween 2007! U.S. Pat. No. 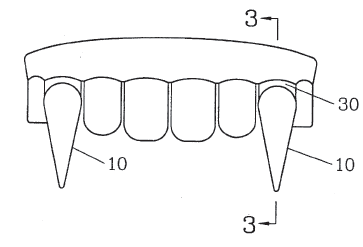 5,569,036: Custom fit teeth. (f) thereafter removing said anatomically disproportionate artificial tooth assembly from said mouth.